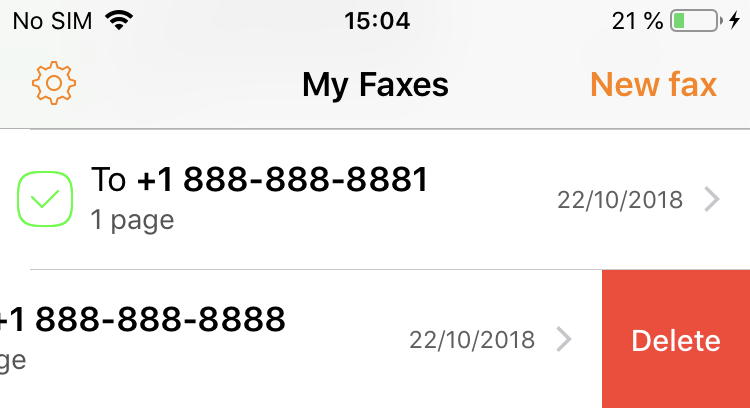 How to delete a fax? 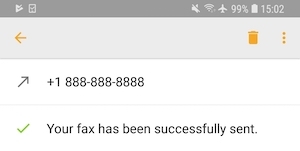 Swipe a fax in the fax list and tap the Delete button. Open a fax and tap the Trash button. Use the dropdown menu next to a fax and use the Delete entry.